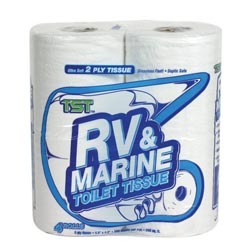 Don't let Rv toilet problems be the disaster of your next vacation! 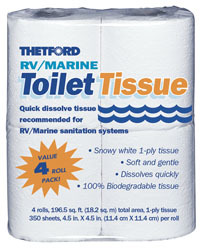 Check out our selection of great Rv toilet parts that are an excellent fit for ANY Camper's toilet. 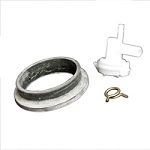 We have it all from your basic RV toilet tissue down to brackets, bolts and valves for your RV toilet repairs. 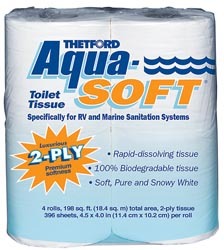 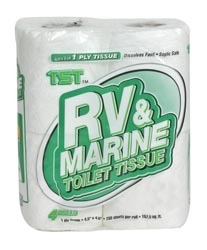 We offer toilet tissue that is designed for your Campers sanitation system. 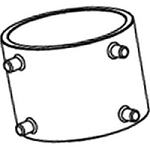 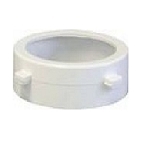 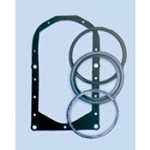 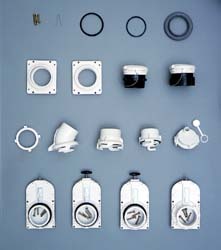 We carry brackets, bolts and valves that will work with any system you have. 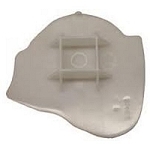 We make all your repairs easy and carefree. 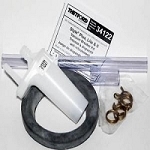 Don't worry with Camper toilet problems on your next RV camping trip, we offer all the Rv toilet parts you need to repair or replace.